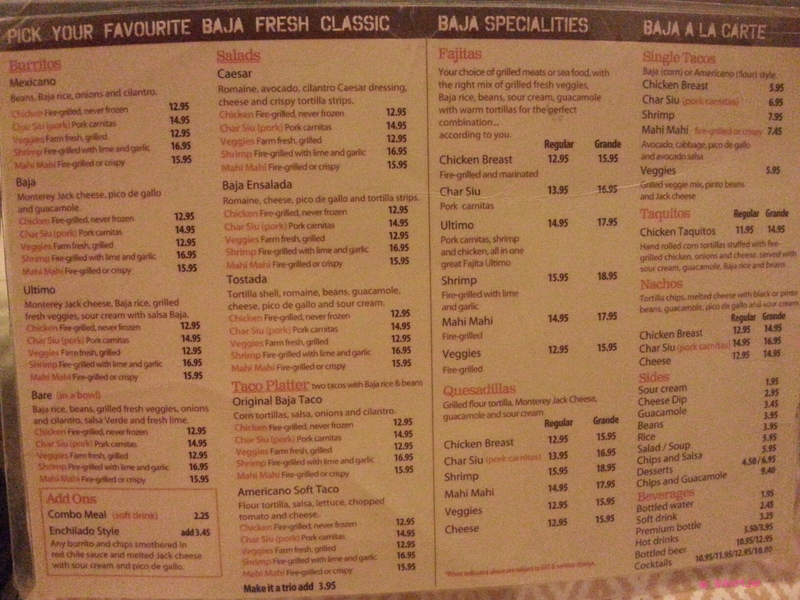 Baja Fresh Mexican Grill is a casual dining Mexican restaurant located at the corner of Rendezvous Gallery part of Rendezvous Hotel, facing Bras Basah Road and the Singapore Management University, School of Social Sciences and Economics where Momolato is. Though it has been around for quite some time but I have yet to try. I am glad I did. It was better than I expected. 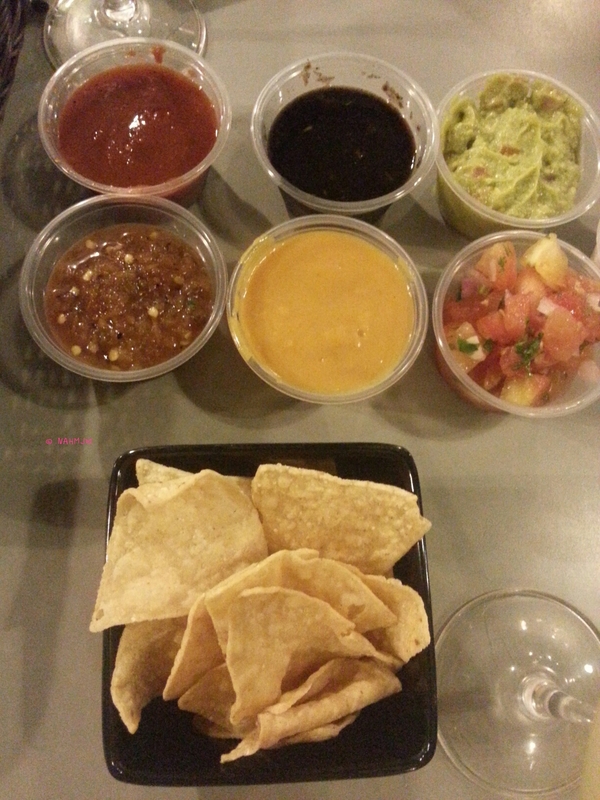 Before the start of the main, we were treated with Nachos and various dips. The good thing about Baja Fresh is that you can help yourself to the free flow of dips. My favourite dip has always been Guacamole as together with sour cream create the zesty refreshing taste. My least like among the various dip is the cheese dip as it wasn’t cheesy enough. I don’t usually drink but I still wanted to have a sip to savour the taste. 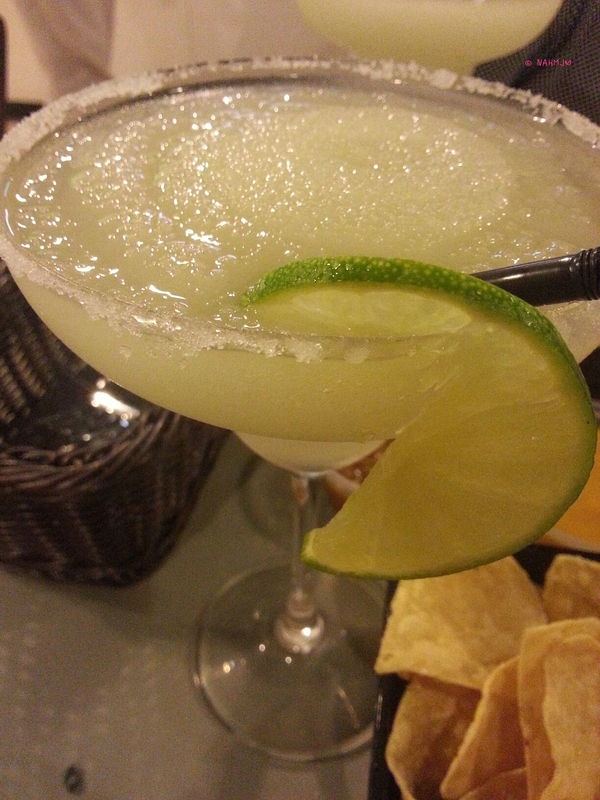 The Lime Margarita doesn’t come with a strong bitter Tequila taste, but a good balance of sweet, sour and alcohol that comes across to me as sweet tangy on the palate. 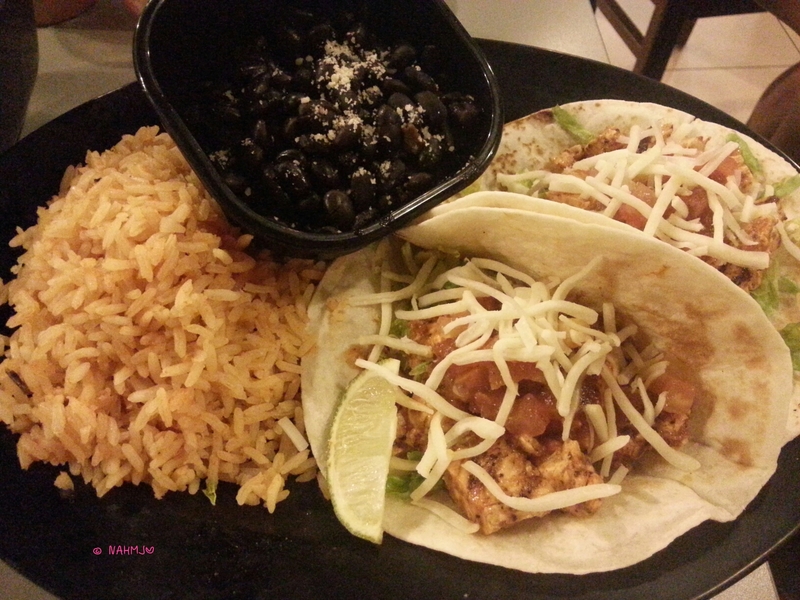 The highlight of the dinner was the Spicy Chicken Americano Tacos which was introduced recently. The filling were Lettuce, Shredded Parmesan Cheese, diced tomato with Spicy Chipotle Chicken with rice and beans by the side to be added into the Tacos as an option. A common comment among the group was the spicy was at the right level. For the Chilli monster out there, if you need to spice it up, either make a request while ordering or top it off with the sauces available over the Sauce and Dips counter. Next, the Pork Quesadillas. 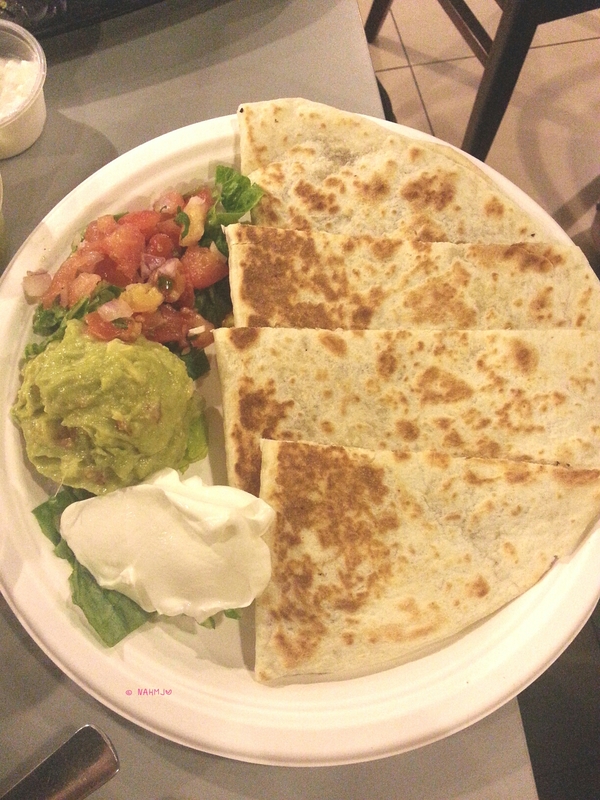 Quesadillas has always been my favourite. As the skin is crispy and most importantly, there is melted cheese in it. This is a pork version. 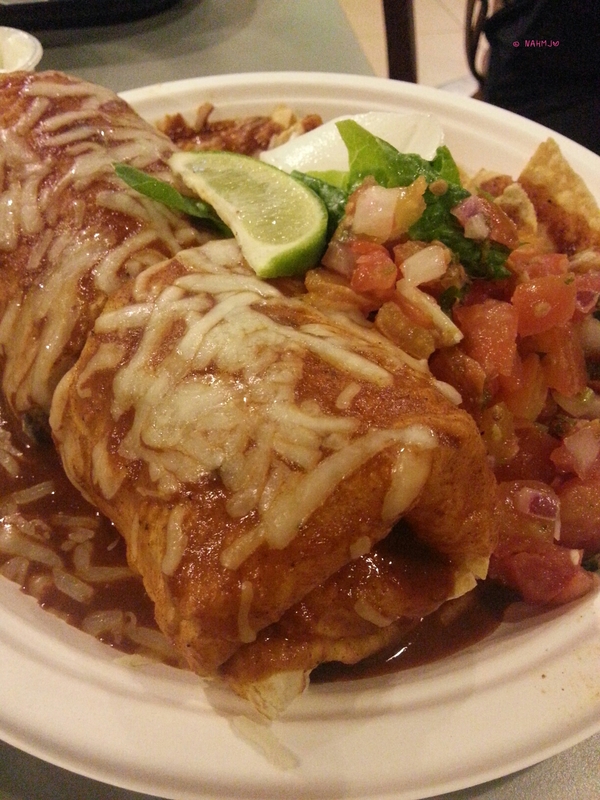 My favourite for the night has to be the Chicken Ultimo Burrito, a burrito baked with sauce and melted cheese, as I like strong flavour food and this certainly fit well into the category. This was humongous and there are nachos by the side as well. The portion is good for 2 -3 persons. They have another version that is without the sauce and cheese. 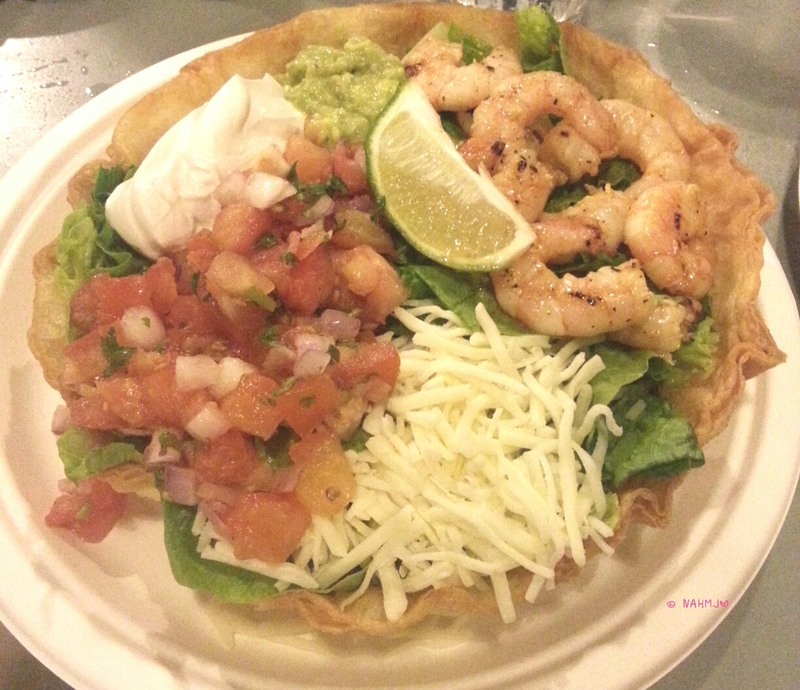 The last main for the event was the Tostada Salad. This dish is huge. It is good for sharing of 4 -6 persons. All the ladies in the group hope Baja Fresh could offer individual serving as it is a good option for lunch when one is alone. 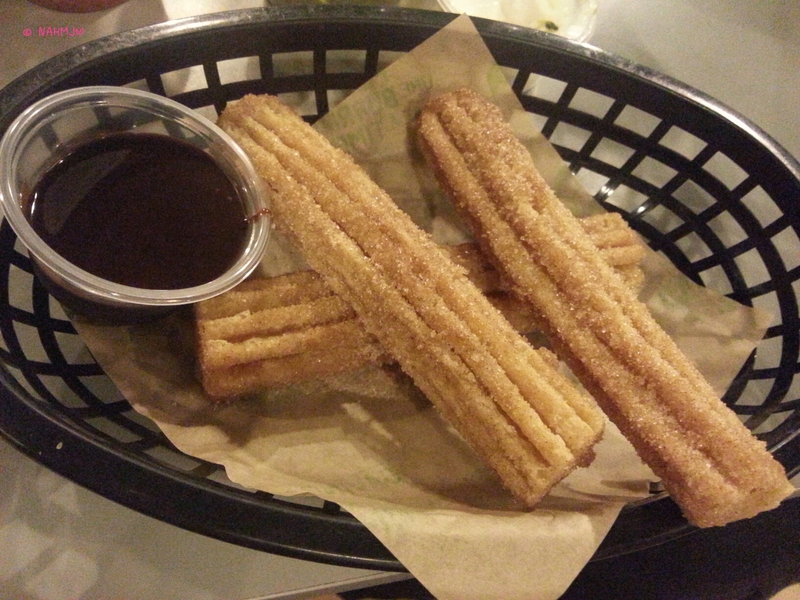 Before the end of the tasting event, we rounded it up with a sweet magical note as Churros was served. It was a hit among the bloggers. All were so excited at the sight of it. I wish the chocolate sauce could be thicker. From their name Baja Fresh, you would have guessed that they might freshly make their food daily and true enough, they lived up to their name. Beside the retail outlet, Baja Fresh does catering too. And Baja Fresh will be having their latest outlet at The Sail in April 2015. Awesome news for those working in the Marina Bay Financial/Shenton area. *This is a media invite.